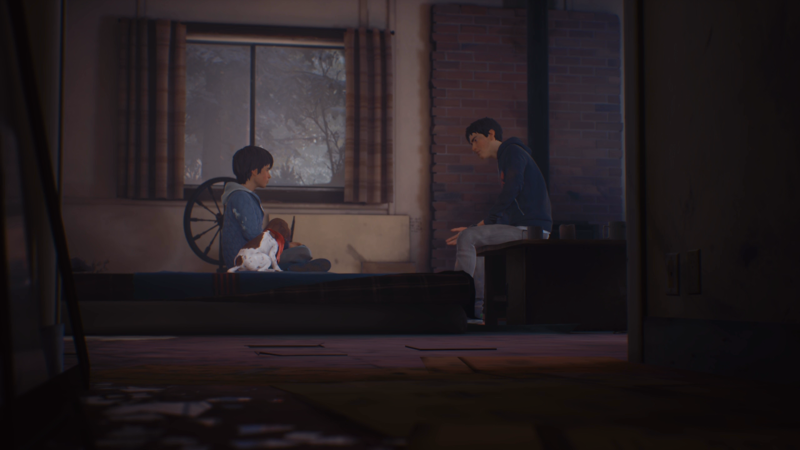 Life is Strange 2 started strong, with the first episode introducing the new protagonists and having the player decide on profound choices after a tragic event. Life is Strange 2: Episode 2 Rules continues that momentum but not without inconsistent bumps in the energy. There are some technical issues but fans of the first episode will find a lot more to enjoy here. The brothers will still have to endure many difficult decisions that can lead to one of many endings. 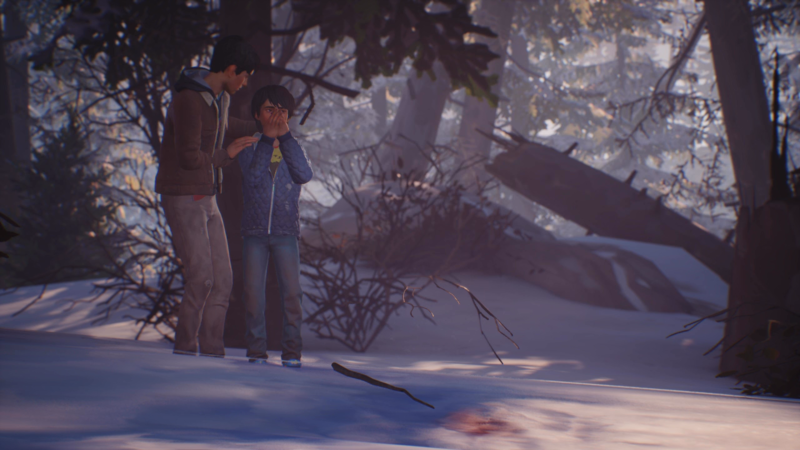 Life is Strange 2: Episode 2 Rules has Sean and Daniel attempting to survive during the harsh winter. Things such as food, shelter, and water are a constant chore and Sean tries his best to keep his little brother fed and healthy. Unfortunately, the elephant in the room is that Daniel has telekinetic abilities that Sean has been actively trying to train Daniel to control to the best of his abilities. Daniel is young and excited, constantly wanting to show off his special gifts while Sean establishes rules to keep Daniel from exposing himself or using his powers in uncontrollable ways. What follows is Sean attempting to keep Daniel loyal to the rules they've agreed on but during dynamic situations. 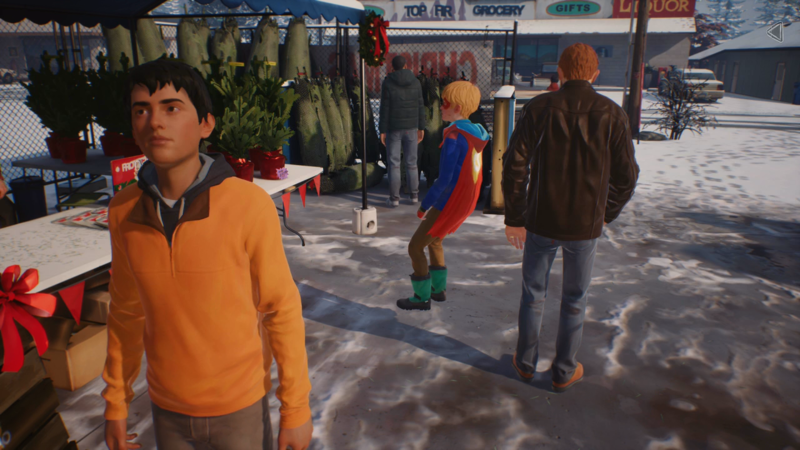 This episode also connects to the game's prologue following The Adventures of Captain Spirit in an organic way, as Chris and Daniel instantly connect thanks to shared interest in superheroes. The episode has a lot of branching paths and while it may seem like it doesn't, the ending exposes all the alternate routes available to the player. Minor things start to build up like a snowball rolling down a hill until it grows and becomes unstoppable. All the choices you've made come crashing down at the end as things escalate out of control. Episode 2 fumbles a few times but it does carry the same emotional tension as episode 1. Meeting Sean and Daniel's grandparents causes old history to rise up as information such as their runaway mother, issues his grandmother would rather avoid. This couple with Daniel's powers, the cops looking for them, and their unpredictable future causes problems to collide from all directions as these 2 kids try to make the best of a bad situation. There's one choice that I personally found to be out of place. Near the beginning, something traumatic just happens without reason or cause. Perhaps this will become some more meaningful in the future but within the context of this episode I couldn't help but felt that the writers just wanted to remove it. The major issue from Life is Strange 2: Episode 2 Rules is the technical problems. While the episode never crashed graphical problems were frequent. This including Daniel's character model dashing across the screen, an invisible Captain Spirit, and Chris floating in mid-air. In a couple of situations, the action prompts either didn't work or wouldn't appear unless I left and came back. Life is Strange 2: Episode 2 Rules is a roller coaster of impactful decisions and low moments. Some choices are more profound than other while others seem unfair and appear out of nowhere. Regardless, the conclusion takes many of the major choices and ends this episode with either a heartbreaking moment of dread or relief.